This right here is one of my favorite breakfasts of the moment. I showed how I prepare these overnight oats in my food prep video which went up on my channel yesterday. 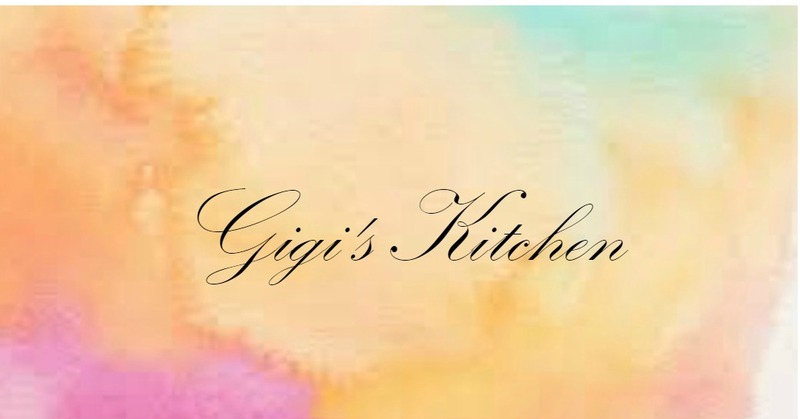 If you missed it, watch it here and see this recipe prepared step by step. In the next couple of weeks, I will be sharing some salad variations including the one from that video along with some of the other recipes from that food prep. 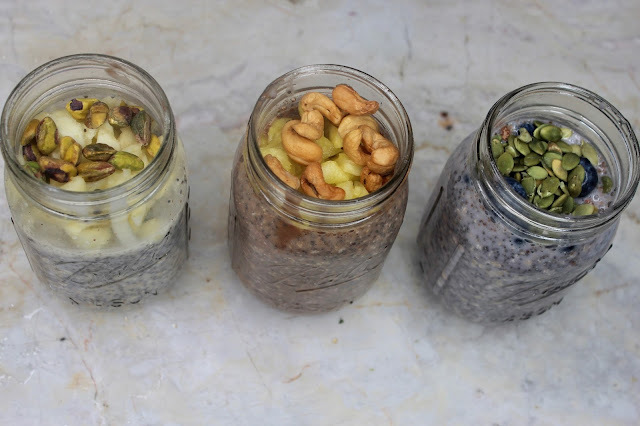 Before I share the exact recipe, which is what you came here for, here is a few things about these overnight oats. Most of the time I jar these and put them in the fridge overnight but they can also be made oatmeal style if you prefer yours warm. Also, I tend to have this every other day for breakfast because they are quite heavy on my stomach otherwise. On other days I go for baked muffins and other breakfasts I prepare on meal prep day. This may not be the case for everyone, but if it is for you, consider trying that as well. Also, feel free to change up your yogurt flavors, fruits, nuts, nut butters etc. to have it be exactly to your taste. Preparing a few different kinds keeps it from getting boring throughout the week too. Lastly, don't feel like you need to put this breakfast in a fancy mason jar (although I found mine for a really great price at Target) you can use any plasticware or simple container you'd like. Also these last for up to a week in the fridge if seated properly. Keep your prepared fruit and nuts to the side for longevity. Pour 1/2 cup of quick oats into a bowl or container of choice. Add 1 teaspoon pumpkin spice or cinnamon and 1 teaspoon of cacao powder. Then add 1/4 cup or more of chia seeds in as well. Then add the chocolate flavored yogurt in. Add 1 teaspoon of maple almond butter to this one. Then add 1/2 cup unsweetened vanilla almond milk. Mix really well. You can reserve your fruit and nuts to the side in a small container to add in when your ready to eat it but I actually add it when I'm preparing it originally. 1/4 cup of chopped pineapple and a handful of salted cashews is all it needs, all you need to do is add it to the top. Seal and refrigerate overnight. Pour 1/2 cup of quick oats into a bowl or container of choice. Add 1 teaspoon pumpkin spice or cinnamon and 1 teaspoon of cacao powder. Then add 1/4 cup or more of chia seeds in as well. Then add the blueberry flavored yogurt in and next 1/2 cup of unsweetened vanilla almond milk. Mix well. Again, reserving the fruit and nuts to the side in a small container to add when your ready to eat is fine. Or add the 1/4 cup of blueberries and handful of pepitas now, before sealing and refrigerating overnight. Pour 1/2 cup of quick oats into a bowl or container of choice. Add 1 teaspoon pumpkin spice or cinnamon and 1 teaspoon of cacao powder. Then add 1/4 cup or more of chia seeds in as well. Add the peach flavored yogurt and then the 1/2 cup of unsweetened vanilla almond milk. Mix well. Reserve your fruit and nuts to the side to pour in when ready to eat or add 1/4 cup of chopped apples and a handful of pistachios now before sealing and refrigerating overnight. 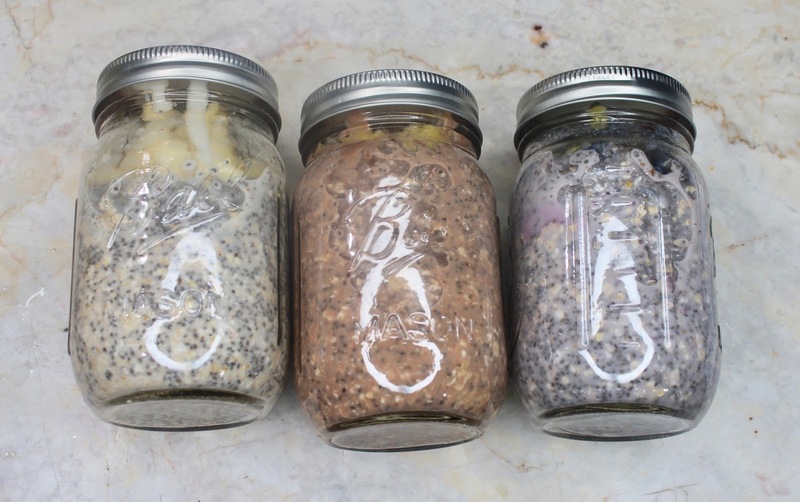 I really hope you will give my Overnight Oats recipes a try! Don't forget to leave me a comment below letting me know what it was like if you do! Criticisms and advice are welcome too! And feel free to tag me on Instagram or post your photo on my facebook page as well.